Welcome to the first ever reading challenge here on Freda's Voice that we are hosting! I decided to do this challenge due to my love for it, and my frustrations with other blogs that have hosted it. I'm not calling anyone out, but to have a successful challenge you need to keep up to date with the Linky lists, postings each month for your participants, and sometimes prizes help. I aim to do those and maybe more. We'll see how it goes, but I'll at least keep things up-to-date. I may have prizes, haven't decided yet. Each month a new Linky will be posted. Do you mean make a list of books we plan to read in 2014 or write the list as we read? XD sounds fun seeing as Ive read over 260 books in seven months. As you go along.... sorry. I updated that. So we start the list now, or when 2014 rolls around? Pretty sure that is a stupid question. But want to make sure clear. Never done anything like this before. You create a blog post, saying your joining and whatever else you want to add, so you can add the url to the Linky. Your reading list can be done as you read. I will post mine soon for reference. Hello Freda. I applauded when I saw your write-up. My term for your beef is "delinquent host". We could probably rant examples for half an hour! Busy or emotional situations are understandable. We're referring to 'Say what?' scenarios! I will check your challengers out tomorrow. Thanks for sharing! I am not going to commit until after holiday madness subsides but 100 books is easy for me. Doing the posting is where I fall behind but I've at least tried to do more reviews this year. Since I enjoy my visits here and the bloggers I've met, I know this will be fun. I added a link but it is not the correct one. I will try to do better. Yah, Freda! Will join up tomorrow! Glad you started this challenge, Freda. 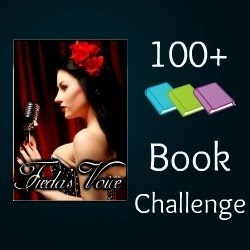 Was getting frustrated with the other 100 Book Challenge which was hard to link up to. I'm joining in! Post going up momentarily! To get to 100 books, I think I'd have to read 3 picture books a month. Tempting, but I'll probably pass. Now if it were 70 or 80 I'd be in. I'm in, dear girl! I hope to find the same enthusiastic folks also gathering in any one of mine. :) Warmly, Carolyn. Hi and thanks for hosting! This year for first time I set my goal on Goodreads to 100 books too, and this challenge is one more reason to push hard and make it :) I want to ask tho, do graphic novels/manga/comic books count? I like the idea of this, and would join in, but I checked my list so far for this year and I'm only at 17. I am currently reading 3. Yep, I read more than one at a time--book in hand, one in home player, one in car player. I will look at lists posted here to get idea for books to read. I appreciate your hosting this challenge. Have fun! I don't know if I've ever read 100 books in a year but I'm giving it a go!